The Haven Coat is the newest addition to the Righ as Rain collection. The A-line shape creates a flattering silhouette with a large back pleat and tapered seams mean it is waterproof too. This PU coated fabric is breathable and a zip and popper fastening keeps will keep you wrapped up warm. This eyecatching pattern is completed by wooden toggle detail. 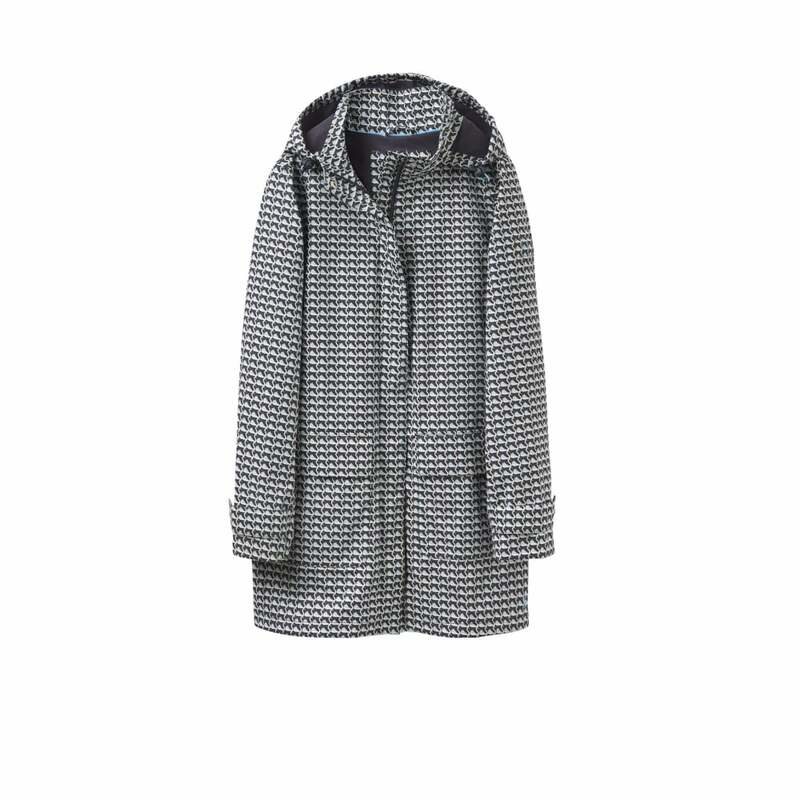 A practical yet stylish coat this is sure to carry you through every season.